The Orbital ATK L-1011 Stargazer aircraft is seen overhead with the Pegasus XL rocket nestled along its belly in this view from Jetty Park at Port Canaveral. Pegasus XL launched the Cyclone Global Navigation Satellite System (CYGNSS) consisting of a constellation of eight microsatellite observatories that will collectively provide a measure of ocean surface wind speeds within the core of hurricanes from space. Stargazer is returning to Cape Canaveral Air Force Station after a hydraulic pump problem with the rocket release mechanism scrubbed the airborne launch on 12 December 2016. Pegasus and CYGNSS finally launched on 15 December 2016. 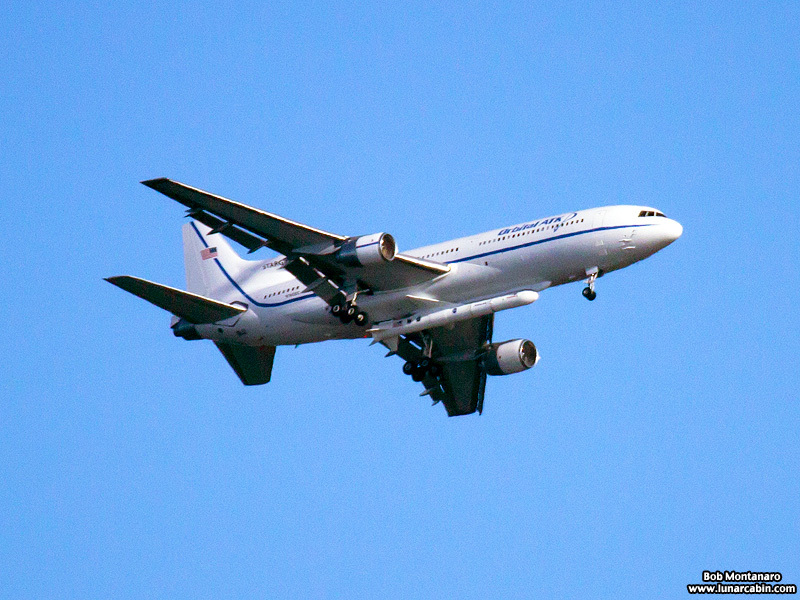 Click to view more photos of Stargazer and the Pegasus XL with CYGNSS.